Welcome to At Your Service Mobile RV Service & Repairs! 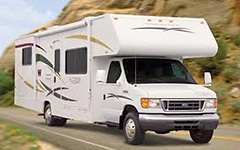 We are the leader in the RV repair and mobile service industry. We service the greater Portland/Vancouver Metropolitan area as well as all rural areas in Oregon/Washington. We pride ourselves in bringing back the word “Service” to At Your Service, which to us means exceptional quality, dependable, courteous, and timely service that our customers have come to rely on.